Hello, Hyderabad! How are you enjoying the IPL season, so far? We gather you are having a ball of a time. But do you want to cheer for Sunrisers Hyderabad by wearing one of those SRH jerseys? And if you are looking for the merchandise, here's where (and what) you can buy online. Look every bit smart and suave in this official Sunrisers Hyderabad official polo. This T-shirt is available on TYKA, which is the apparel partner for SRH. We love how the logo is embroidered on the T-shirt and at INR 599, it's quite a steal. Ditch all your coffee mugs for this SunRisers Hyderabad Coffee Mug, this season. This cup can be microwaved as well, so grab it at INR 188, and your coffee breaks are sorted. We have been looking for an SRH cap since forever, and we're glad to have spotted it on Prep Sportswear. You can basically pick what design (or the logo size) you want on your cap, and order away. The only caveat is that it's an International store and you might have to wait for a bit to get your hands on it. Looking for a sipper water bottle? 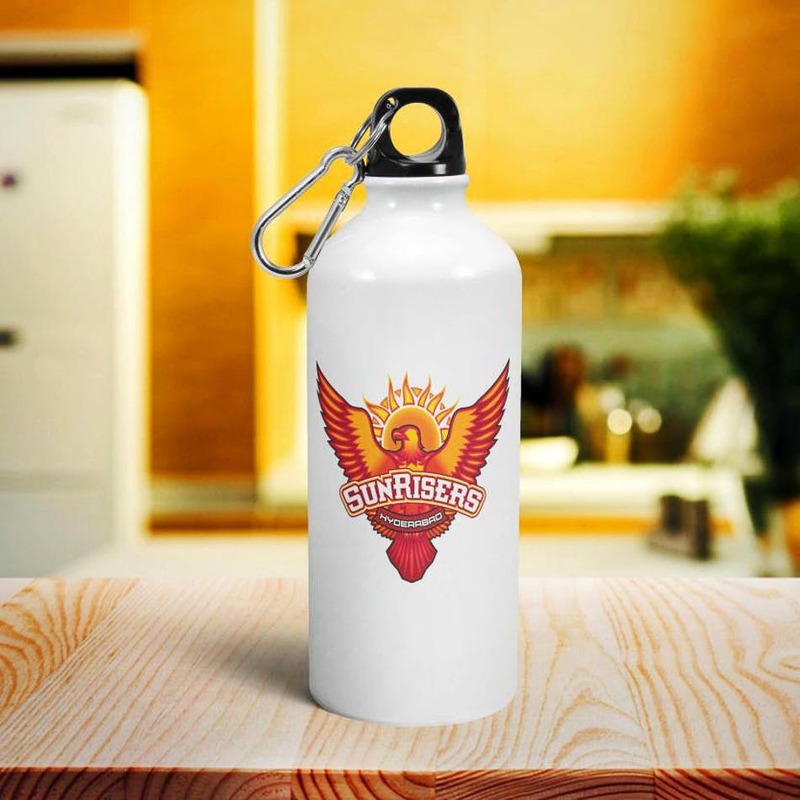 Get your hands on this white sipper with Sunrisers Hyderabad's logo on it. Carry it to your gym and root for your favourite team. Sorted! Why go for the regular when you can get your IPL jersey customised? T-Shirt Loot is one of the best sites to get your SRH jersey customises and the price range begins at INR 549 only. Whether you're planning to get it done on a t-shirt or a hoodie (stock up for winter), pick from the catalog and go on! While you are it, get your name on the back.